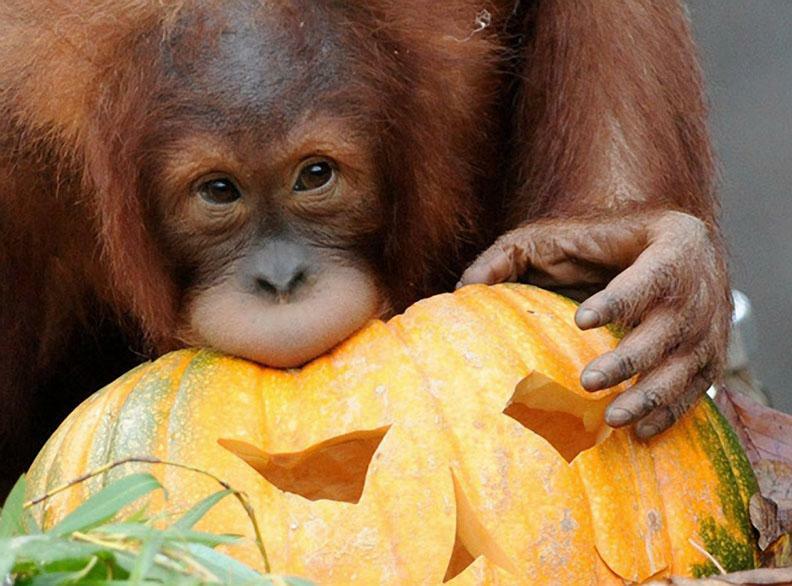 Have a Primate-Friendly Halloween Without Palm Oil! You have heard before that palm oil is bad, but you may not know exactly why. You might have forgotten about when we have told you that palm oil is a nasty business. And now here you are, standing in the drugstore Halloween aisle, surrounded by tinfoil bats and talking electronic pumpkins, about to purchase Halloween candy to hand out to the eager youngsters that will be beating down your door in a few days. What to do? Chose wisely. Smart orangutan! Pumpkins are indeed palm oil free! It’s surprisingly simple to chose palm-oil free Halloween candy with just minimal effort on the part of the consumer. And if you’re reading this, it means you care about primates already…So continue the trend and make the kinder choice to buy Halloween candy that is better for primates, the environment, and ecological diversity as a whole. Does that seem like an exaggeration? It’s not. To begin with, you could always give out non-candy goodies on Halloween. Items like temporary tattoos, glow-sticks and bouncy balls are pretty irresistible to all ages, or there’s always individual packets of raisins or pretzels. 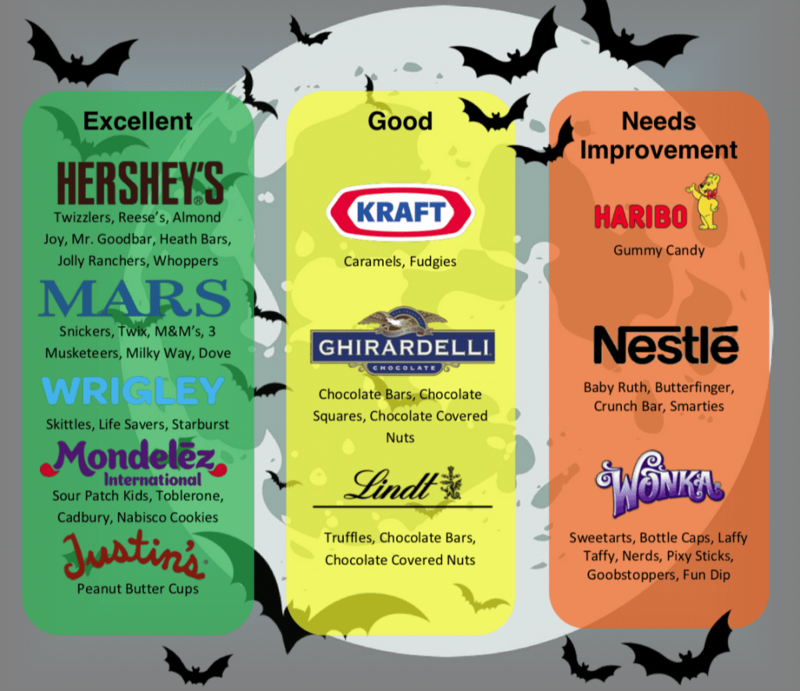 However, if the traditionalist in you wants to stick to candy for Halloween, read on. Palm oil can be listed under a myriad of names on product labels, including cetyl palmitate, elaeis guineensis, ethylhexyl palmitate, hydrated palm glycerides, octyl palmitate, palm kernel, palmate, sodium kernelate….and more. What’s that? You’re not a scientist or dietician? Just a primate-friendly person who wants to celebrate a holiday? OK.
Feel better about your choices, and then the only monkey business you’ll experience this Halloween will be that kid down the street who might TP your house. For more information on palm oil, check out the El Paso Zoo’s full list of palm oil free candy, Say No To Palm Oil, and this informative article from The Economist.